The Second Hand Online Industry is BOOMING! The days of driving/biking/walking around town looking for a deal/steal/bargain on quality items are now a thing of the past. With second-hand stores and vintage boutiques having a huge online presence, there is no need to spend over your budget! This guide will help you on your journey to becoming a PROFESSIONAL second-hand shopper. From homeware to sunglasses to doggy beds…the second-hand industry has got it all. My absolute favorite way to second-hand shop is by shopping through boutique stores. Many boutiques are all gathered together on large online platforms where you can scroll for hours on end. I do not advise that you do this if you have not yet created your Capsule Wardrobe List, but by all means, it’s up to you! I have recently purchased some amazing second-hand onesies by PeopleTree that I wear almost on a daily basis. I found these through a wonderful platform called TROUVA. This amazing platform hosts the most quaint, adorable and hip boutiques from all over Europe onto one beautiful platform where you can search endlessly for your hearts desires. For my North American folks, I highly recommend The Boutique Hub! I love the idea that you can send your clothes in and receive money back to find an item you actually love and cherish. These shops are absolutely wonderful if you are just starting out on a sustainable/ethical/minimalist closet and need to stock up on basics while getting rid of impulse buys. ThredUp: This company is quite popular for several reasons; their packaging is plastic free, they allow hassle-free returns, they list materials in each item, fabulous search function, and selling your clothes to them is super easy. They will also recycle your clothing for you if you do not want it returned! Poshmark: This is great if you want to take charge of your own sales. You are the shop owner and sell items without the send in bag. Set the price, pay a bit of commission, and watch the money roll in! I used this very app when I left Hawaii and made over 1k. Vinted: This French company’s tag line says it all, “Just snap, upload, and sell – for free!” That sounds good to me! Tradesy: This is a luxury brand consignment that includes a note with each purchase from the seller! They offer free shipping and cover returns. Material World: This is one of the only online shops that will pay you up front. This is great if you are in real need of some cash but the cons are obvious; you get less than you would if you took charge yourself. Sometimes we just want the cash, so it’s up to you! Schoola (For a great cause): This company gives a large portion of its profits to any educational non-profit of your choice! Win-Win here! Vestiare Collective: This is the exact shop where I snagged some amazing Patagonia wear for an amazing deal. I adore this shop and it is high end till the end. This shop has well over 1,000 transactions each day and your items will be sold quickly! REBELLE This is a European only second-hand shop that has some killer fashion designers. You can find anything ranging from high luxury to casual. You can also sell on this website! eBay: To search for second-hand items on eBay, simply click the second-hand button on the side panel. Also, leave a note to your seller that you wish for a plastic-free delivery! Swap: This company only allows credit back for returns and is rather new in the second-hand industry but the reviews seem great! Come with a list: Just like with regular shopping, if you want to be serious and grow the perfect closet, you need to stick to what you need! Unless you come across a Stella McCartney dress or something…stick to the list! Forget sizes: The older the clothing is, the more “off” (or right?) the sizing is. For some crazy reason, fashion brands have gone from normal sizing to super tiny sizing the past 20 years. A size four 15 years ago is more like a size 8 nowadays! Time: Try to give yourself plenty of time to shop; this is for both online and in person. There is nothing worse than having the stress of time during shopping; it usually ends up in purchasing items that you do not want. Use color codes: Have you noticed that most thrift stores are sorted by color? This is a great way to stick to what you love and look good in! Alter if needed: Please do not pass up a key item if it is a little too big. You can take your item to the tailor and they will fit it perfectly to your body for an amazing price! Use the search function! If shopping online, you must use the search function to find the best brands. I love to create a list of brands that I have my eye on for the season and see what the second-hand shops have to offer. I have found some amazing deals! The best advice really at the top! Thanks a lot! Absolutely! You can also find that pair of jeans that is on sale for full price for nearly 20% of the price as well! The second hand industry literally has it all now – anyone paying full price for day to day things is really wasting some serious money! This is some great advice for second hand shopping! I love going second hand shopping, you truly can get some lovely treasures. Absolutely! We have actually clothed our children in 90% second hand clothing. I cannot believe how much money we have saved! This post is great as it inspired more people to second hand shopping, great way to save the world and recycle, reuse. Lovely reading the nice buying tips and the ways to minimize budget on shopping without compromising much on quality. 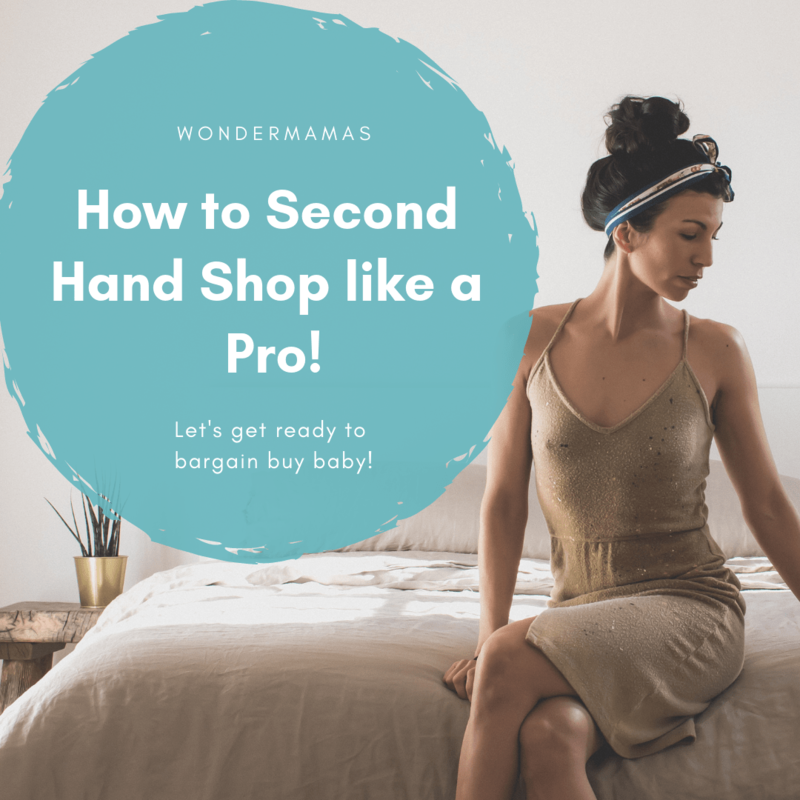 I’ve never thought about second hand shopping but I think it’s a great way to save money or shop on a budget! I have lots of clothes I plan to sell thank you for these options i can now read more and choose from several. These tips are so useful! I haven’t second hand shopped online recently but really want to start as I know it’s so much better for the environment to recycle clothing in this way! I love going thrifting! There are so many things that you can find that are true treasures. I do a lot of my shopping on Facebook; especially for my kids! Gently used clothes help the environment and don’t hurt our bank account! I have found some awesome vintage pieces thrift shopping! People don’t realize the value of some things, sometimes! I love shopping in a thrift store. THere so much great stuff you can find. Sometimes it’snot about how expensive your things are. It’s about the value of its own. Absolutely! The price tag only says so much, it’s so much more about the fibers, where it comes from and even how it was made! Oh wow, Those were great list. Never tried shopping on a thrift store but this sounds like a great thing to do. Bet I would find so many great things there. Oh yes, please do try! So many of these items still have tags on them and have never even been worn! I love this post, and have pinned it! This really is the way forward for clothes shopping, because you can find some awesome finds and for a great price too! You are so sweet Lisa, Thank you! And yes, I have found so many amazing treasures as well as all of my children’s clothing second hand! I would much rather save for their future than buy new clothes! Second hand items are so worth when go for a budget shopping. Great value for money indeed. Your tips will be so helpful when opting for such purchase. It’s important to remember that so many of the second-hand clothing still has tags on it and has never even been worn! It’s so much more than budgeting, it’s just smarter shopping! I absolutely love to secondhand shop! This is such a great guide, thanks!